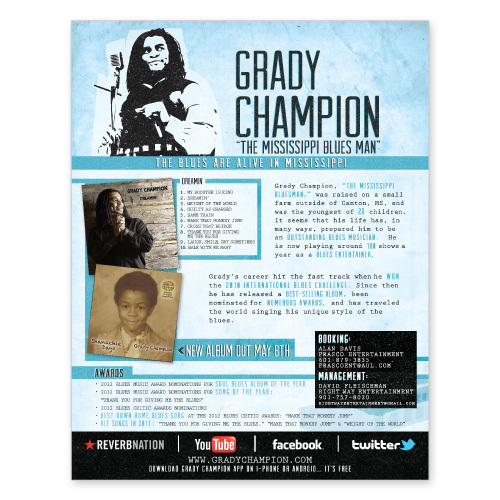 Mississippi-based, Grammy Award winning songwriter, entertainer/musician, Grady Champion has been captivating audiences for more than two decades. The singer/harp player/guitarist/songwriter/producer signed to Malaco Records, headquartered in nearby Jackson, MS. 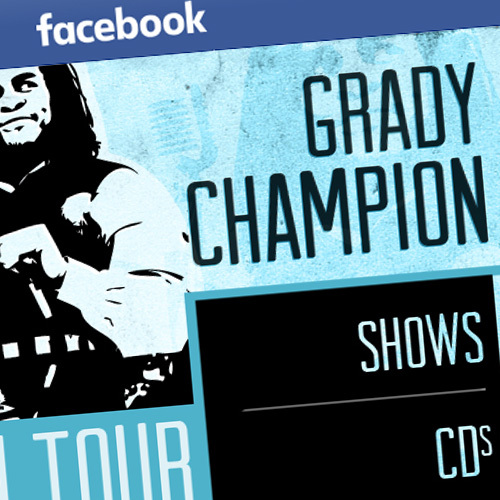 Think Webstore created a print ad for Grady Champion, and also managed social media.